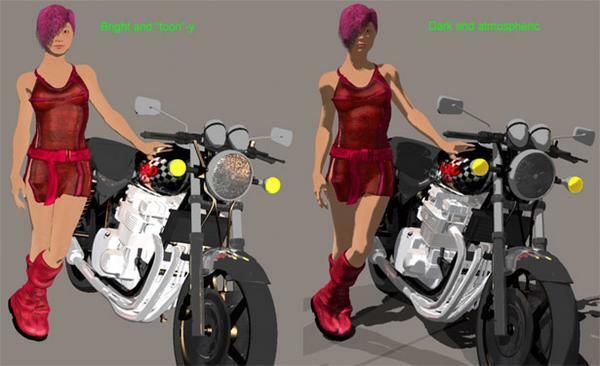 Welcome to CG Online Tutorials - This is Poser Rendering and Lighting tutorial category web page and you can find link of a useful Poser Rendering and Lighting tutorials regarding Setting Up Toon Renders, hosted in other web site. If you want to suggest a tutorial please do contact us, you can find our email address at the bottom of the web page. The Firefly engine in Poser can produce amazingly detailed, photorealistic renders- but it can also generate a cel-shaded look for more stylized images. Here's how-Poser's Firefly render engine can create beautiful, photorealistic images- but it can also be used to create a classic "cel-shaded" cartoon look. In this tutorial we'll use Firefly and the Material Room to create a cel-shaded toon render.